Not all mold is visible until you start searching. 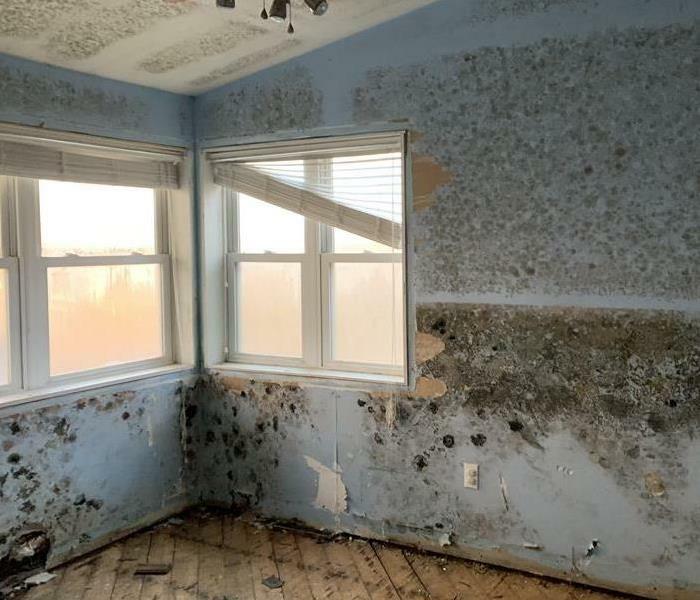 The mold remediation process depends on the amount of mold growth and the types of surfaces on which the mold appears. 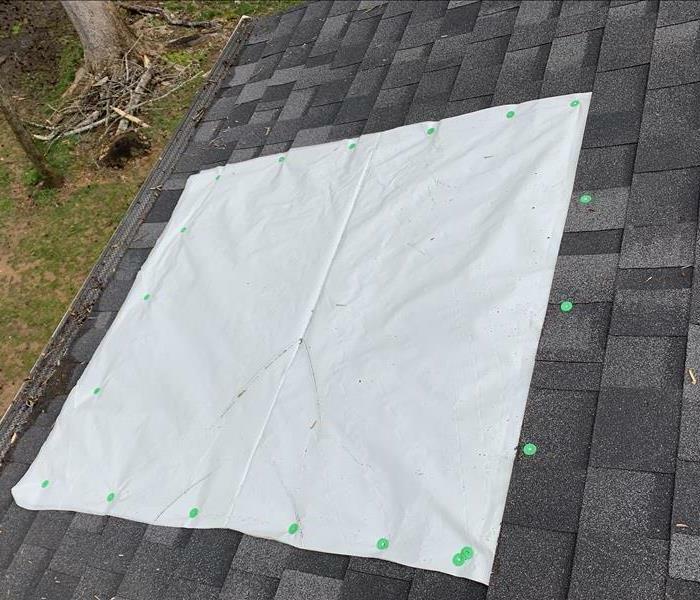 Here at SERVPRO of Lee & South Chatham Counties we use antifungal and antimicrobial treatments to eliminate mold colonies and to help prevent new colonies from forming. Removing and disposing of mold-infested porous materials, like drywall and carpeting, may be necessary to remediate heavy mold growth. 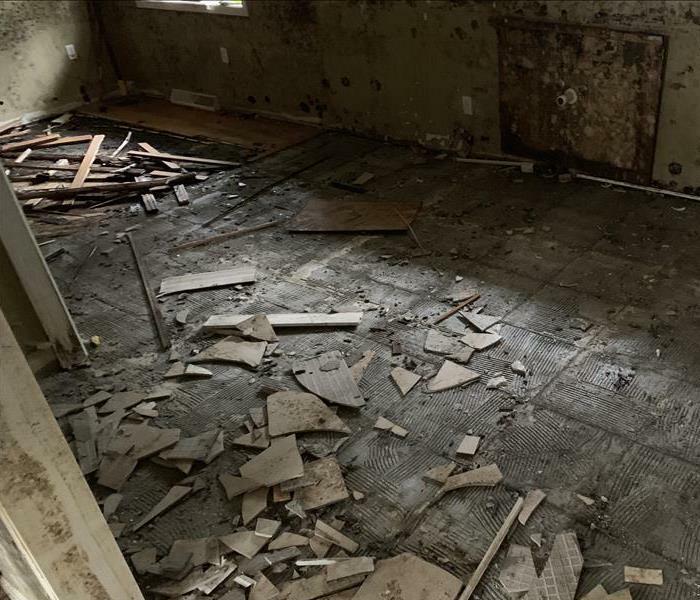 This Chatham County home was struck by the numerous rainy days that we had continuously. 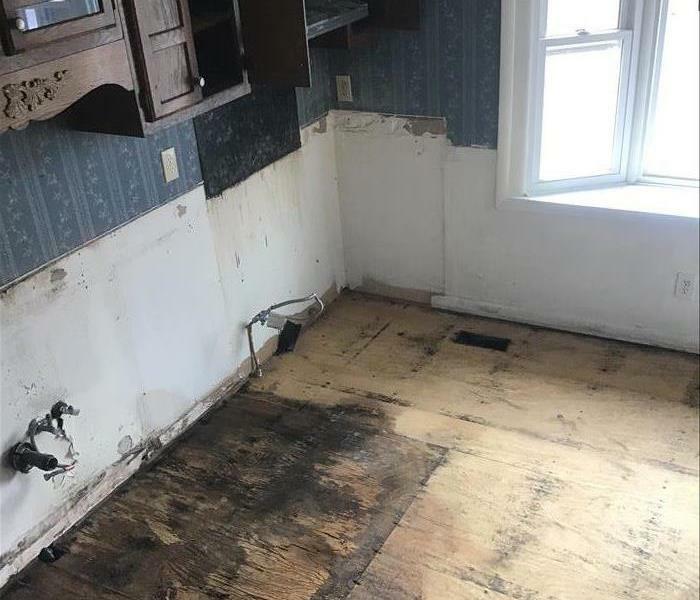 The home become flooded and it had quickly turned into a mold remediation job! The faster you call your SERVPRO - the better! This was the aftermath of a kitchen fire in Pittsboro, NC. We arrived at the home. We helped with the devastation from the customer. We received the details on what had happened previously. We were able to do restoration as soon as we assessed the situation. This was the beginning of our job. 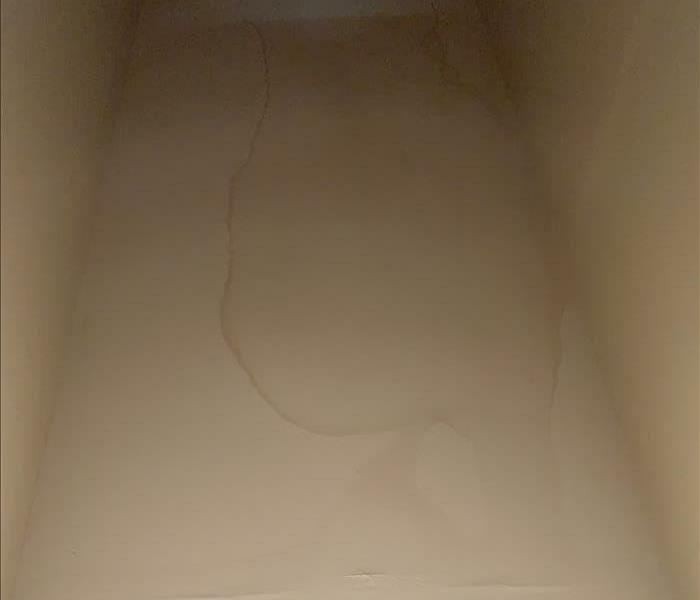 The customer noticed the water stain on his ceiling and immediately called us. We took action and we caught the issue early enough that the situation was not as bad as it could have been. 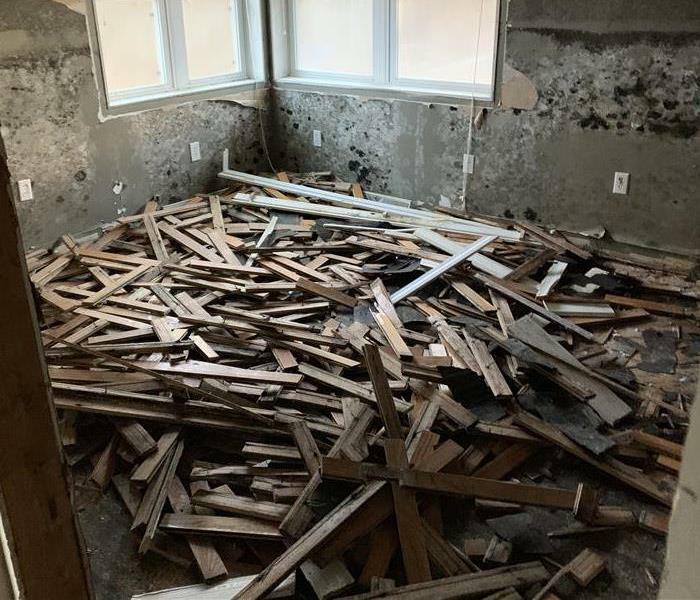 This home in Chatham County was exposed to a water leak that was hidden for many months. 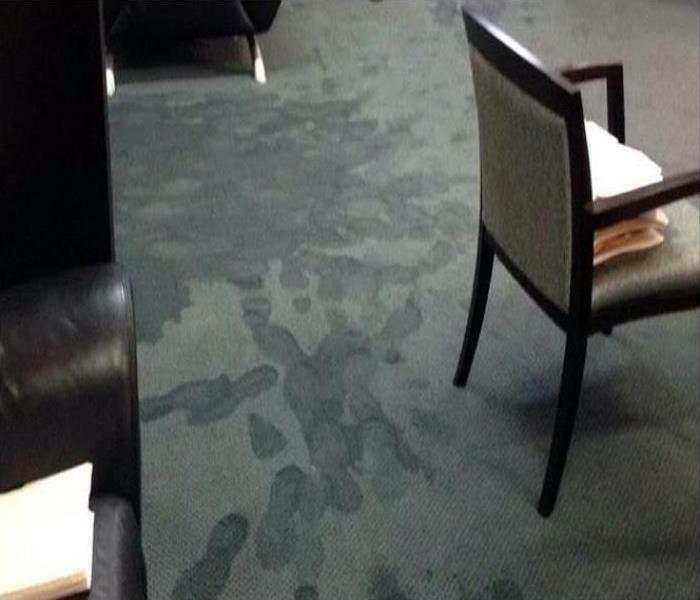 The water seeped into the walls, floors and ceilings. We arrived with an effective plan. Our equipment paired with our amazing staff got the job done with customer satisfaction. 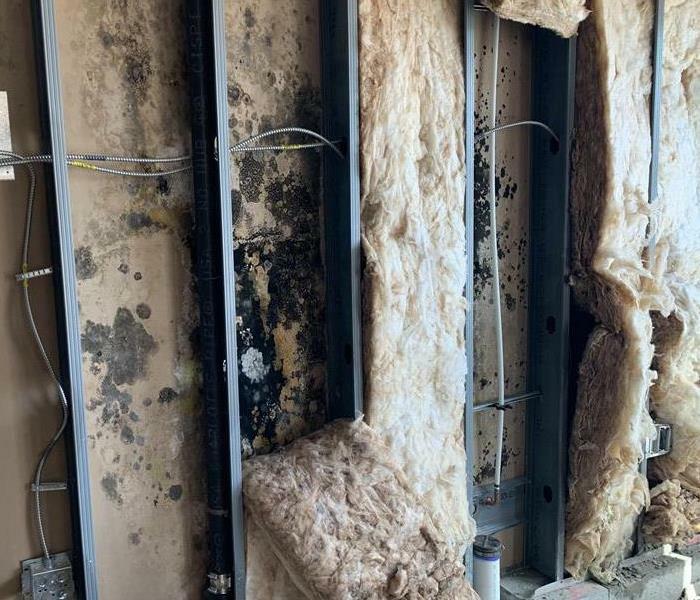 East Chatham baseball field's concession stand had mold accumulating in the building. We went in and was able to perform remediation. It went smoothly! After we were finished, it was "Like it never even happened." This family of Chatham County had a bad experience with a storm. The storm came through with strong winds being able to puncture their roof. We went in and fixed the family's roof before the puncture did too much damage. 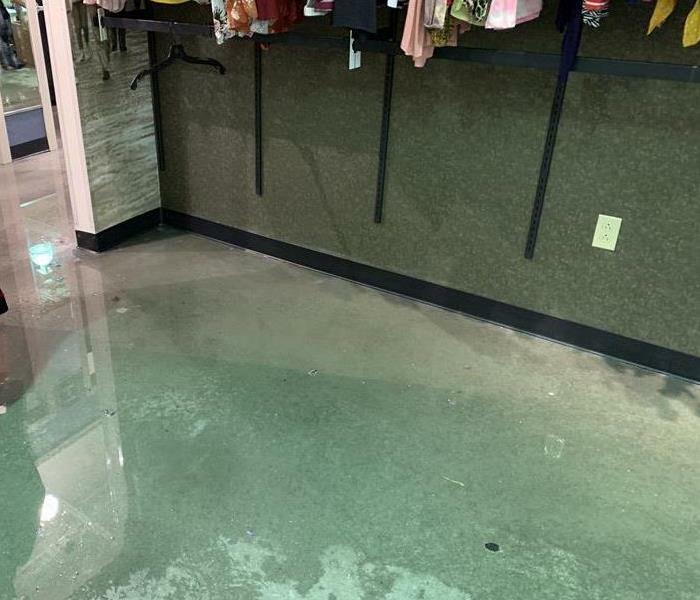 This local RUE 21 in Sanford, NC experienced flooding. It was obvious that they needed restoration. 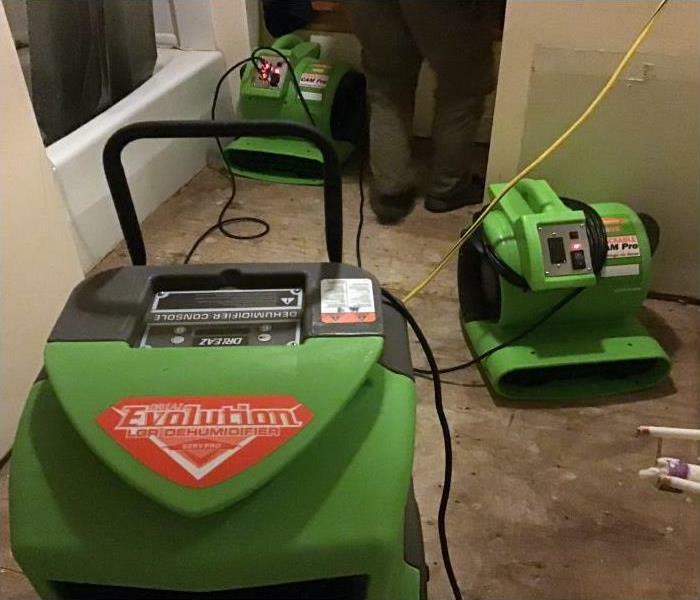 SERVPRO of Lee & South Chatham Counties went in and got the equipment ready so we could restore this business in record time. This was the aftermath of a garage fire in Pittsboro, NC. We arrived on the scene with a plan and we acted on such plan. We were able to clean the garage and make it look "Like it never even happened." 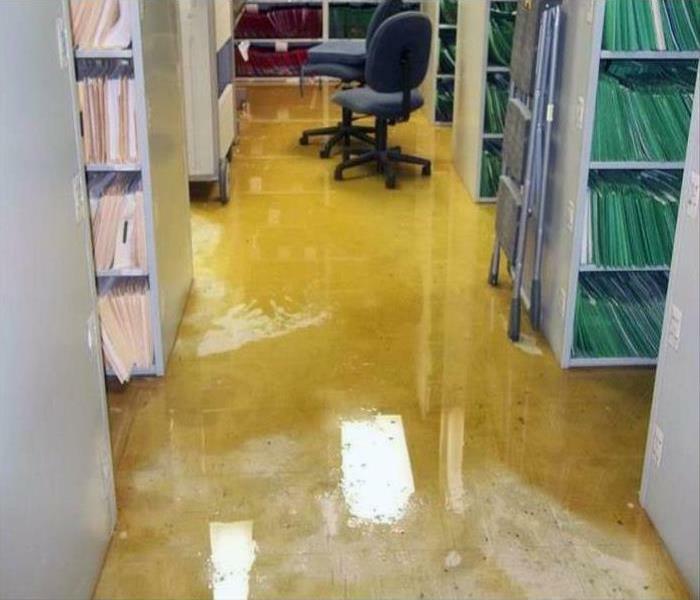 This office was flooded with dirty groundwater after a storm in the Pittsboro area requiring fast extraction. 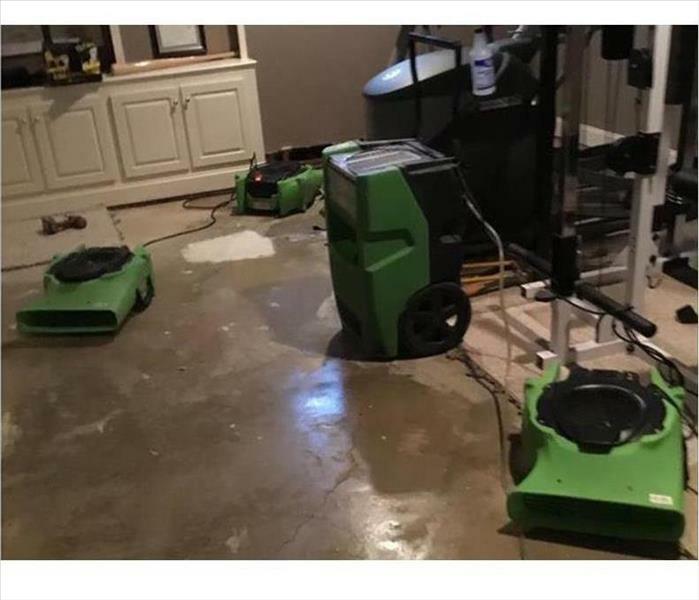 SERVPRO technicians can use truck-mounted extractors to remove the standing water from the floor after the debris has been taken away. Our goal is to get this office back to its preloss condition quickly. 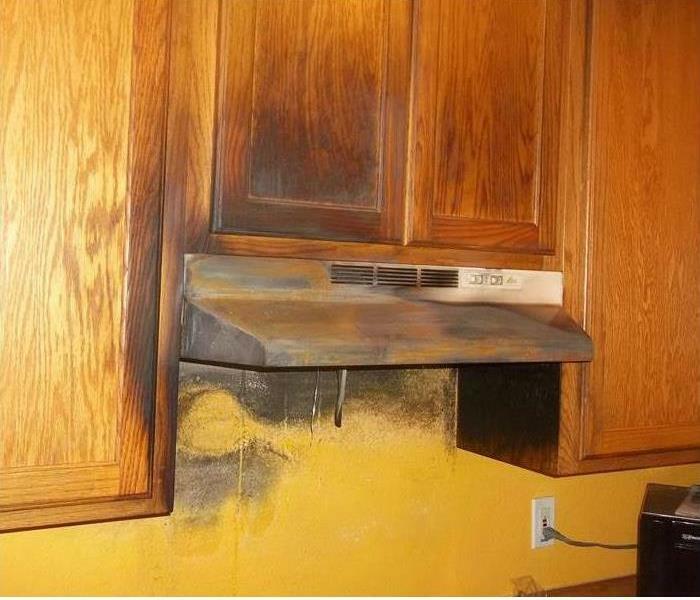 Fires in Wilsonville kitchens occur all too frequently. SERVPRO recommends to our neighbors to never leave an open flamed cooking area unattended. Save yourself time and money by being safe, rather than sorry. A bathroom flooded causing major damage to the adjoining bedroom. 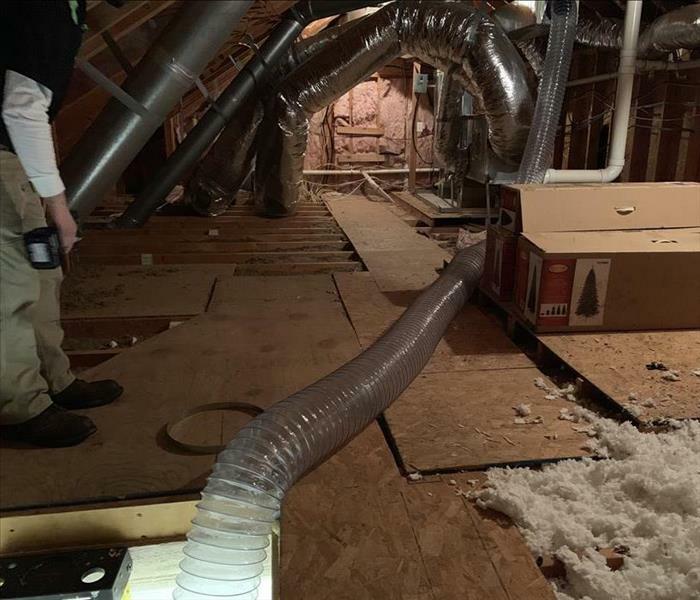 We needed to work quickly to prevent further damage and possible mold growth. Our technicians were able to restore the Pittsboro property to pre-damage condition. SERVPRO of Lee & South Chatham Counties is Faster to Any Size Disaster. 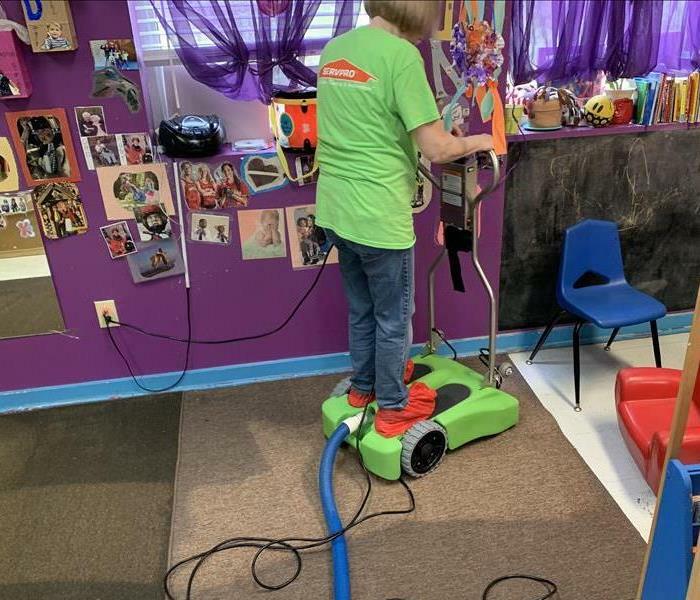 The ductwork in this Chapel Hill area clubhouse was in need of a cleaning. The odors and dust emitted from the vents can be remediated with SERVPRO techs, know-how, and the right equipment. Upon completion, the conduits will be almost free of pollen, pet dander, mold spores, and dust. Rely on us to keep the card games going at the clubhouse. 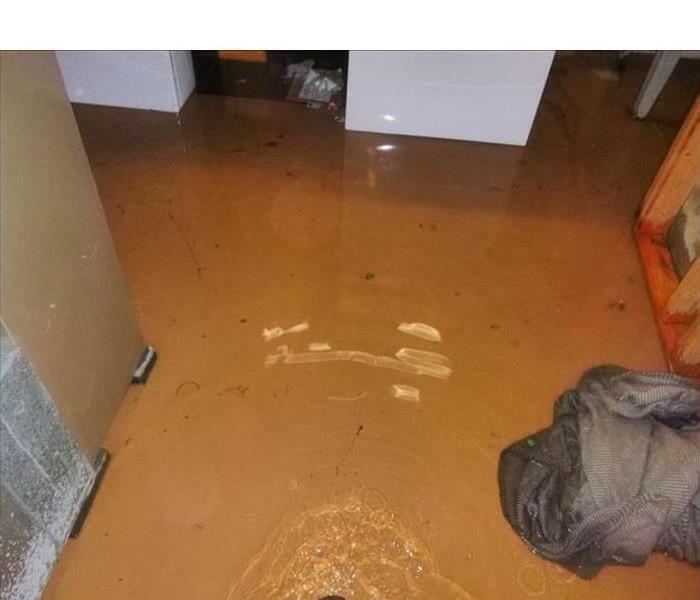 Basements are susceptible to groundwater flooding after a deluge in the Pittsboro area. Pumping out the water is only one facet of the restoration needed. SERVPRO understands that disinfecting the contaminants carried in by the flow must also be addressed. We can use infrared camera imaging to ensure that all the hidden pockets of moisture have been eliminated. 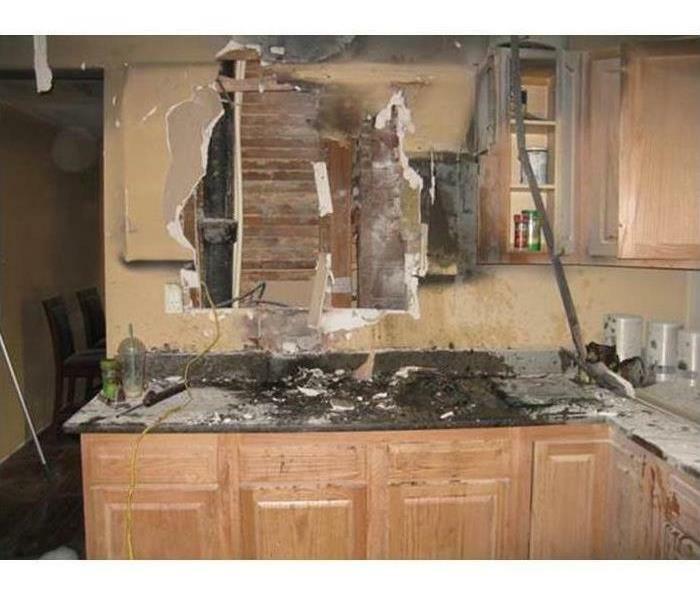 A small flare-up from the grease build-up in a Wilsonville kitchen exhaust hood led to this visual fire damage. 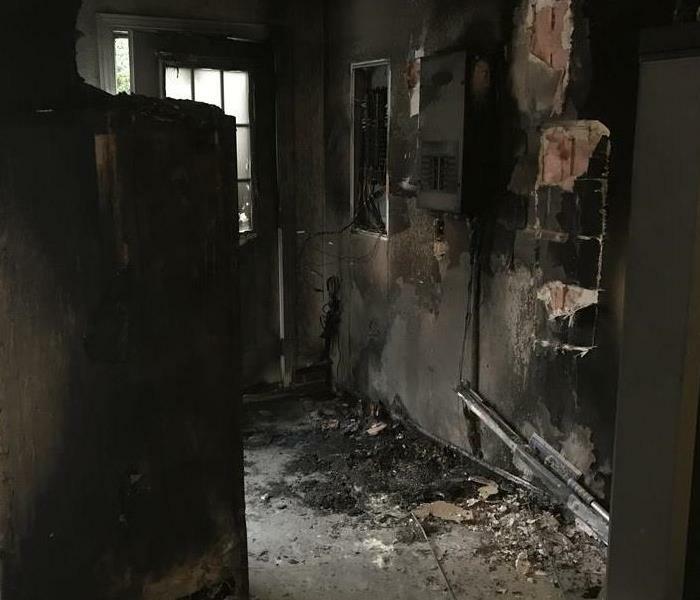 Fortunately, the homeowner had a chemical extinguisher handy to put out the fire quickly. SERVPRO technicians can eliminate the smoky odors and clean and refinish the cabinets to a preloss look. A broken coupling can lead to excess water pooling on a carpet in Pittsboro. 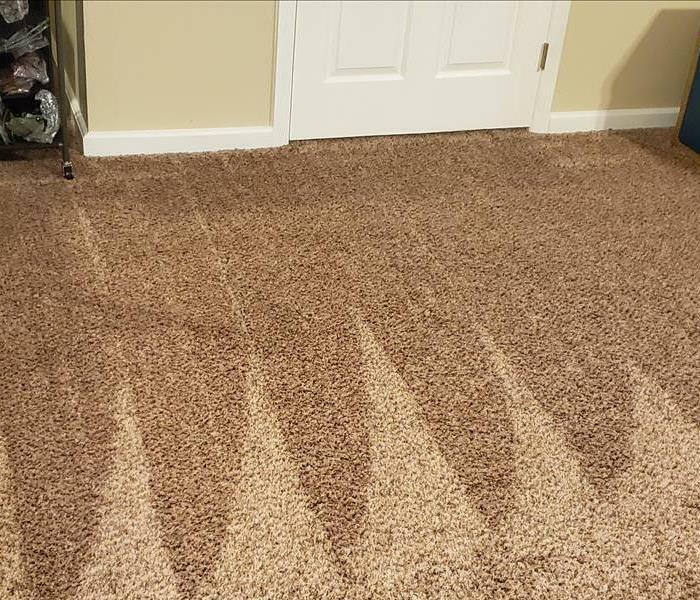 If unknown for several days, the flooring material that has degraded can be removed by our SERVPRO technicians. We can place a large LGR dehumidifier to pull the moisture from the rapidly moving air generated by the heated air movers. 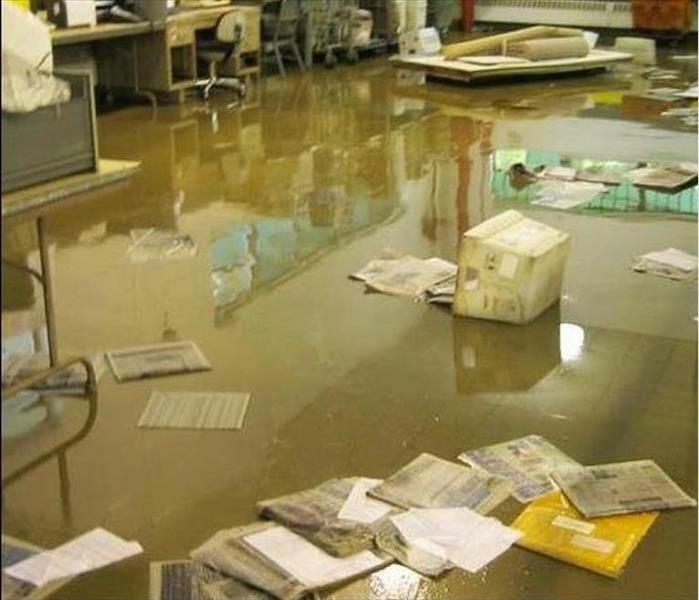 Secondary water damage like rusting to the exercise equipment and mold growth can be averted. Rely on us.